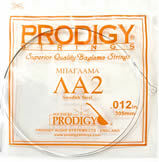 " The most precise and correct gauge strings you will ever buy "
All of our strings are packaged in an ‘Airtight Pouch’. 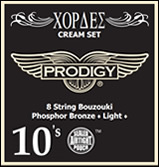 They will not tarnish or fade if kept sealed in the original packaging. 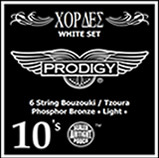 This means you can buy as many sets or singles as you like in the knowledge that the strings will remain as fresh as the day they were made. 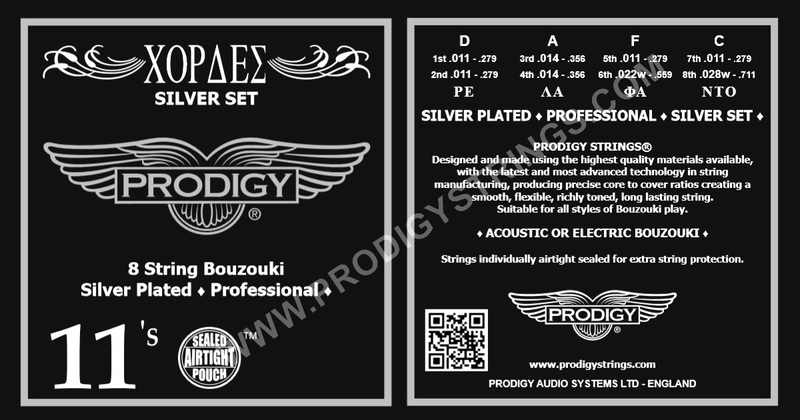 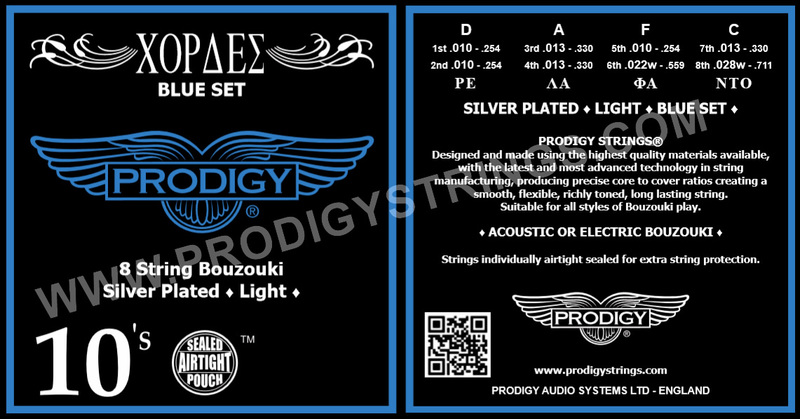 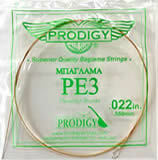 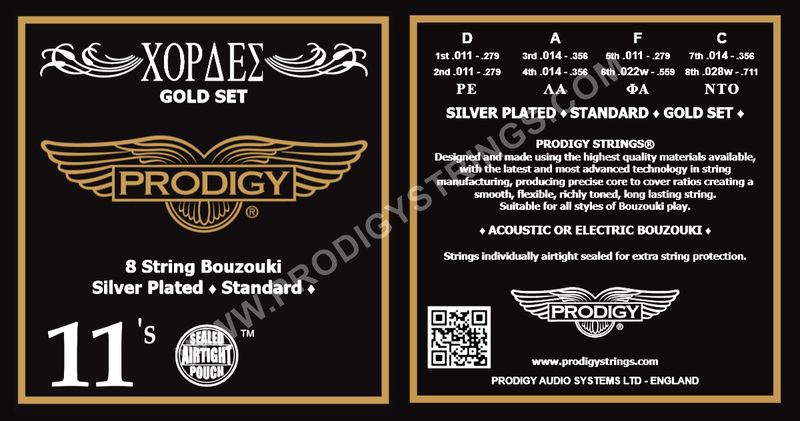 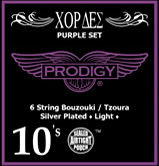 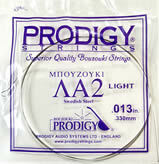 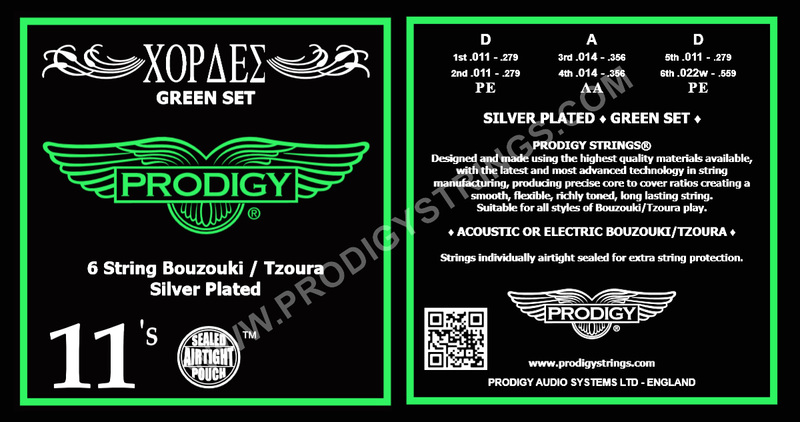 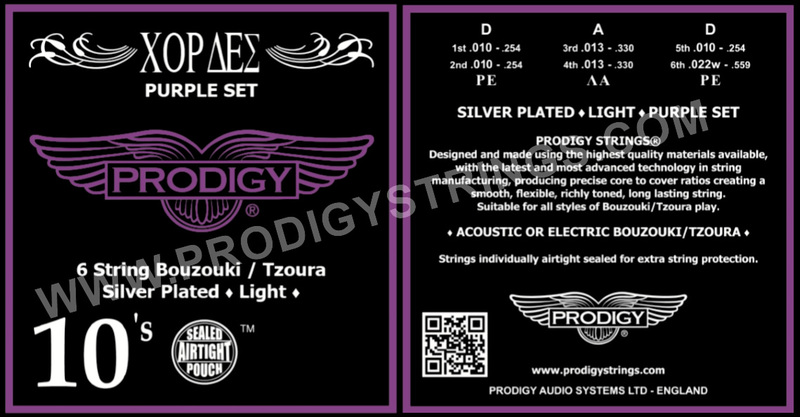 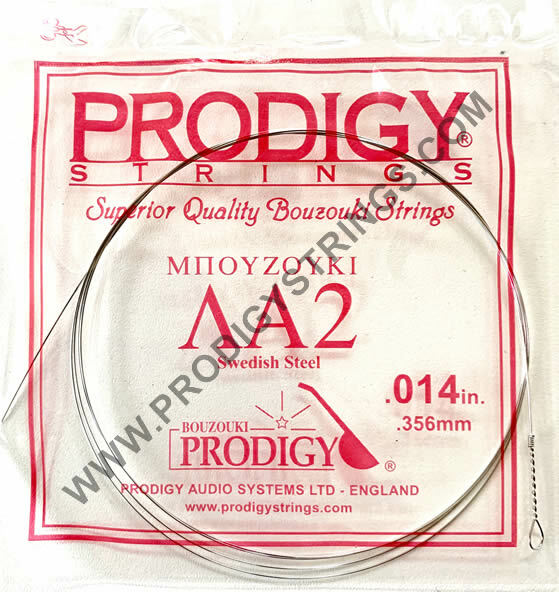 Prodigy Strings® are suitable for all playing styles and they are the first choice for many of the world’­s most renowned professional Bouzouki players. 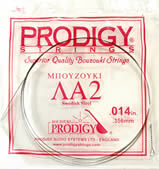 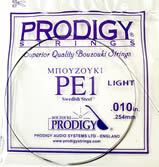 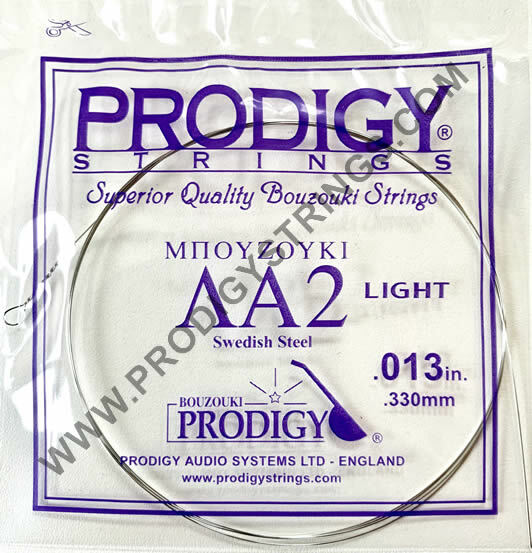 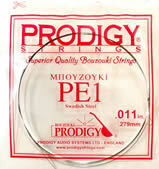 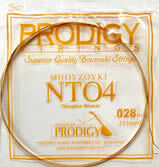 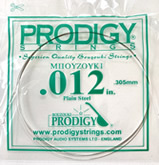 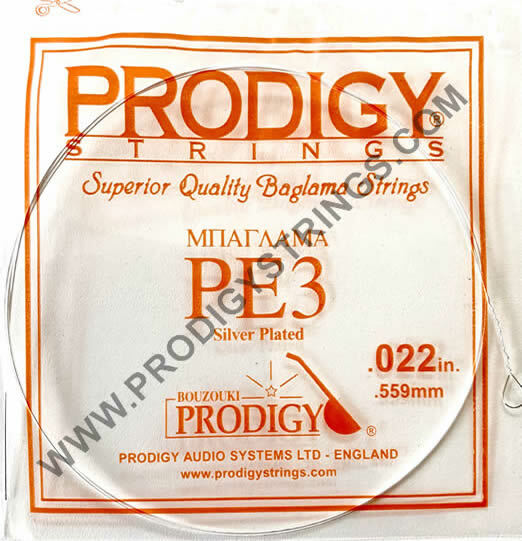 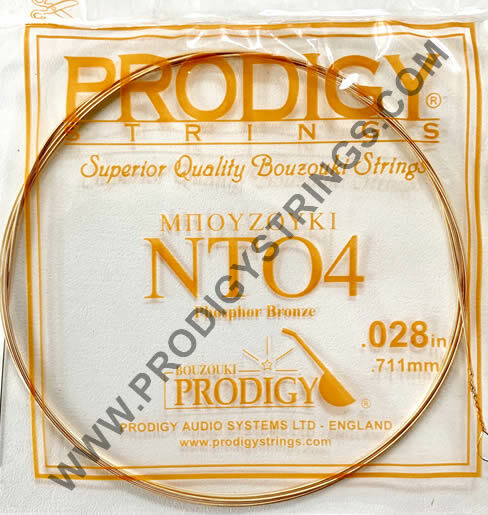 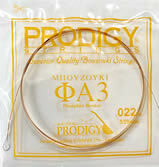 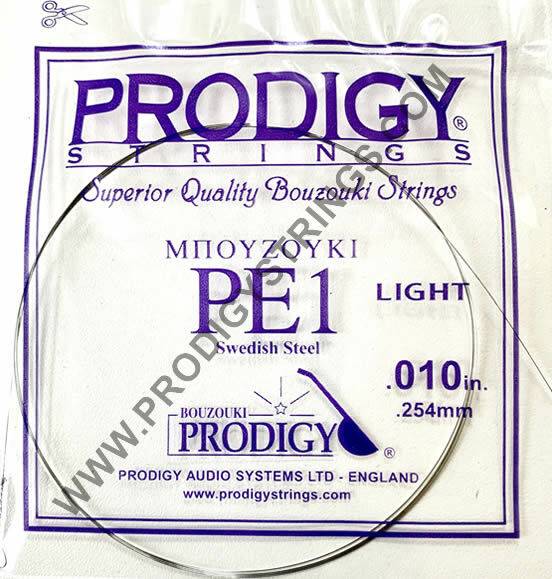 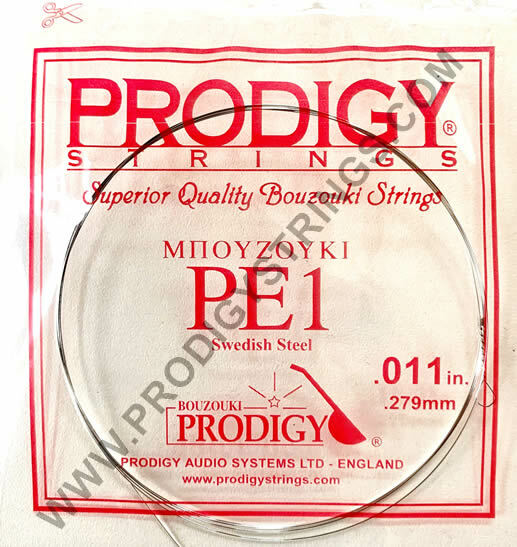 Prodigy Strings ®, are designed and made using the highest quality materials available, with the latest and most advanced technology in string manufacturing, producing precise core to cover ratios creating a smooth flexible, richly toned long-lasting string. 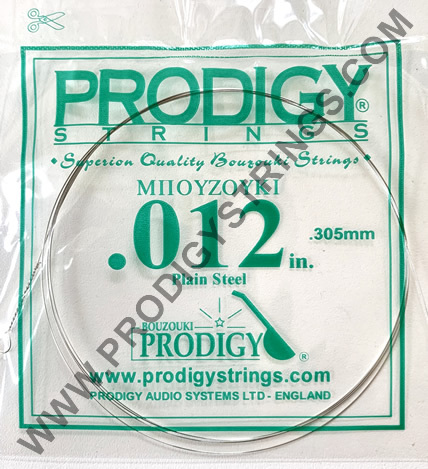 All of our strings pass a strict quality control process of being gauge checked, length measured and weighed before going out to retailers and sale. 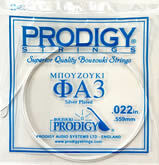 They are also individually sealed in an ‘Airtight Pouch’ for extra string protection. GOLD SET * New packaging same high quality strings. 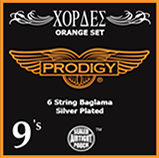 High quality core and wrap wires are used for the wound strings complimented with high quality plain steel strings, creating a Bouzouki set with excellent smooth flexible richly toned long-lasting strings, projecting a warm and vibrant sound. 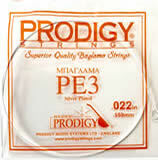 All of our strings are individually sealed in an ‘Airtight Sealed Pouch’ for extra string protection. 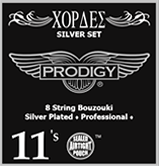 SILVER SET * New packaging same high quality strings. 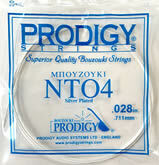 The professional set using a .011 on the 7th string instead of the standard .014 for the ‘NTO’ (C) octave. 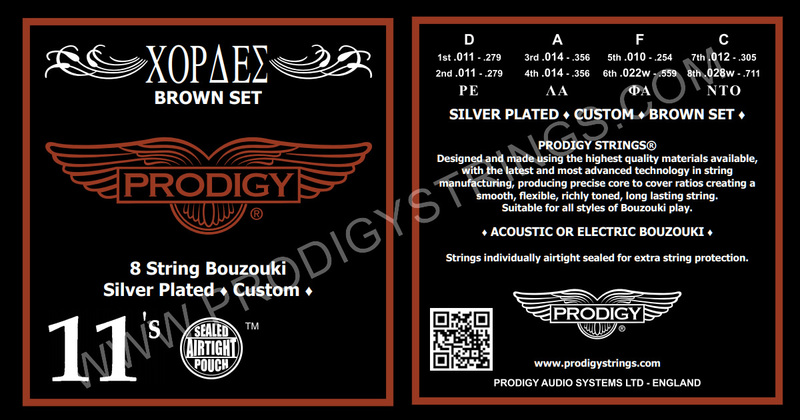 This set is perfect in the studio or for live work. 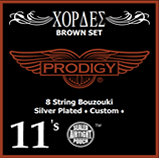 BROWN SET * New packaging same high quality strings. 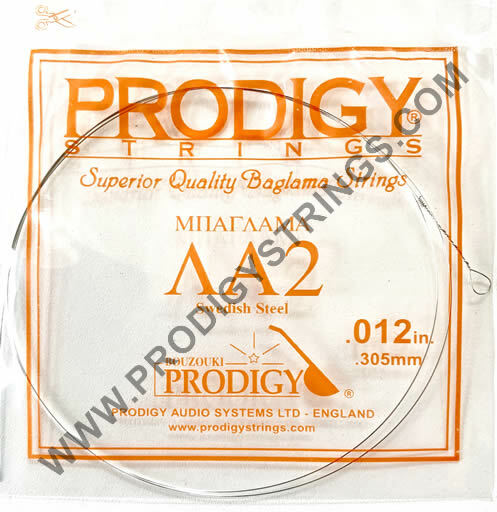 5th string (FA octave) and a .012 plain string on the 7th string (NTO octave). 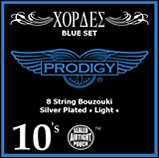 BLUE SET * New packaging same high quality strings. 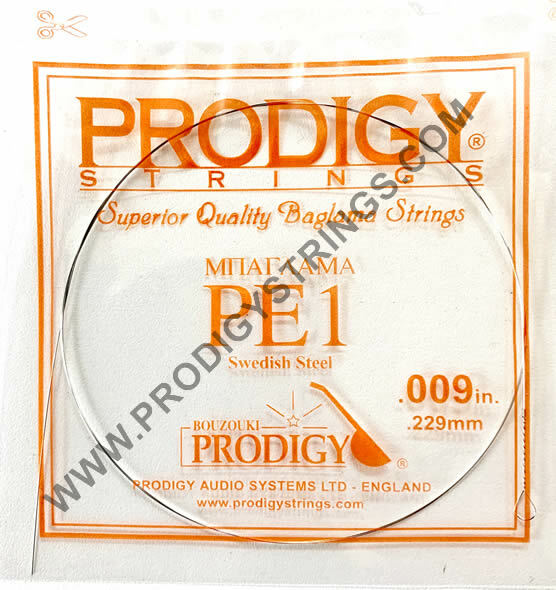 Lighter gauge high quality plain strings, producing a softer, easier finger movement on the fretboard, whilst still maintaining a rich full sound, with minimal loss of volume. 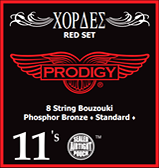 RED SET *New packaging same high quality strings. 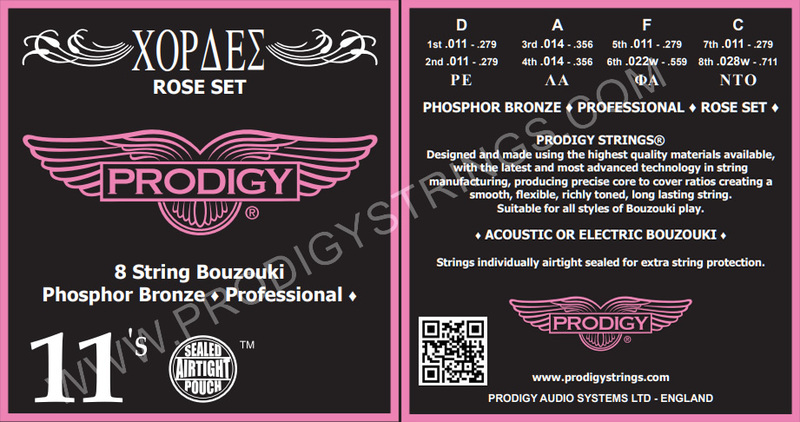 We were the first company to introduce Phosphor Bronze strings sets for the Bouzouki! 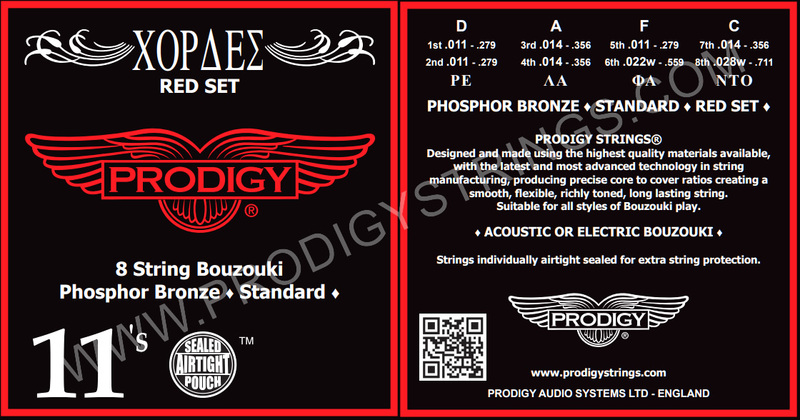 The Phosphor Bronze set offers a different type of sound for your Bouzouki. 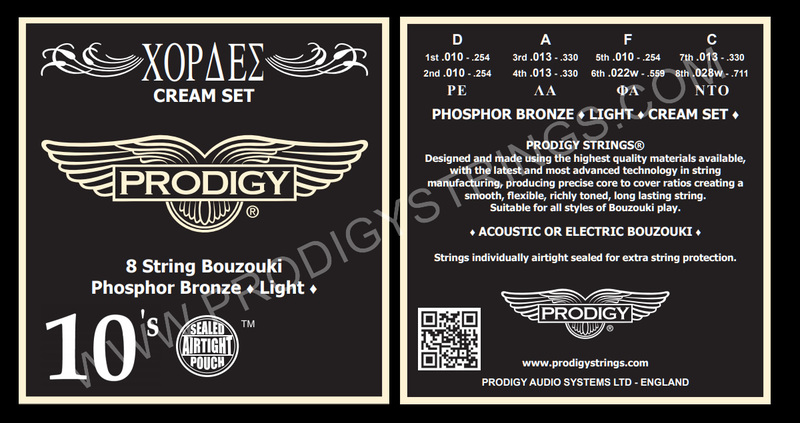 The high quality phosphor bronze wound string, produces a bright sound to begin with, which mellows down with use to a smooth, long-lasting richly toned, punchy and dynamic sound. 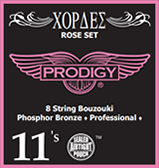 ROSE SET * New packaging same high quality strings. 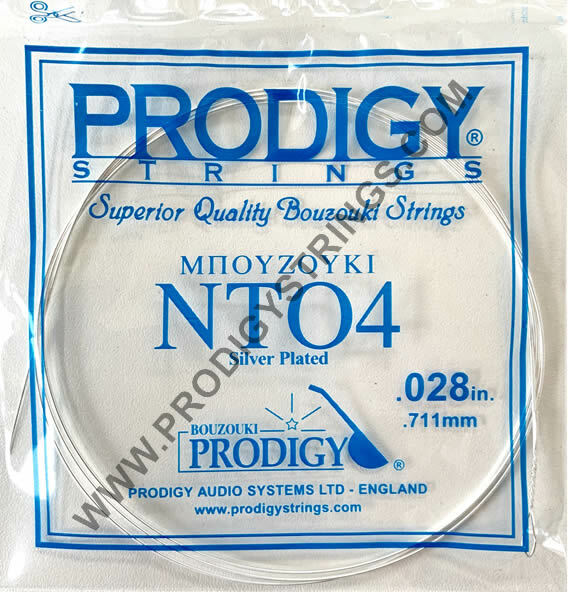 The professional set using a .011 on the 7th string instead of the standard .014 for the NTO (C) octave. 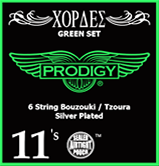 GREEN SET* New packaging same high quality strings. This set is manufactured with super balance of the bass and treble strings for the unique sound qualities of the 6 string Bouzouki / Tzoura enhancing their beautiful tones and harmonies, producing an authentic, traditional clear sweet sound. 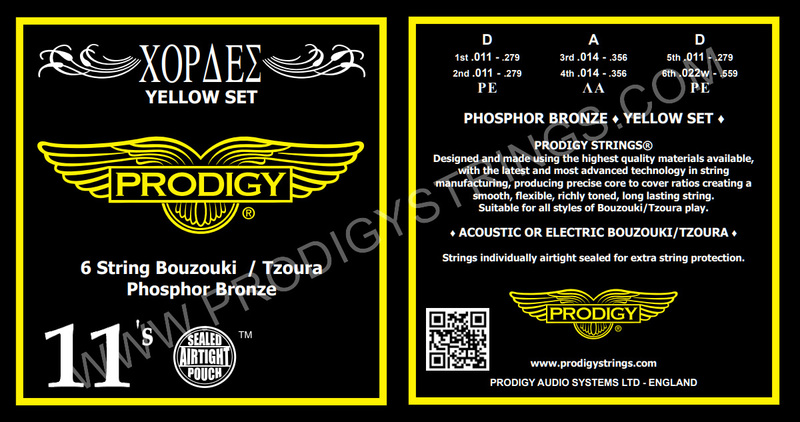 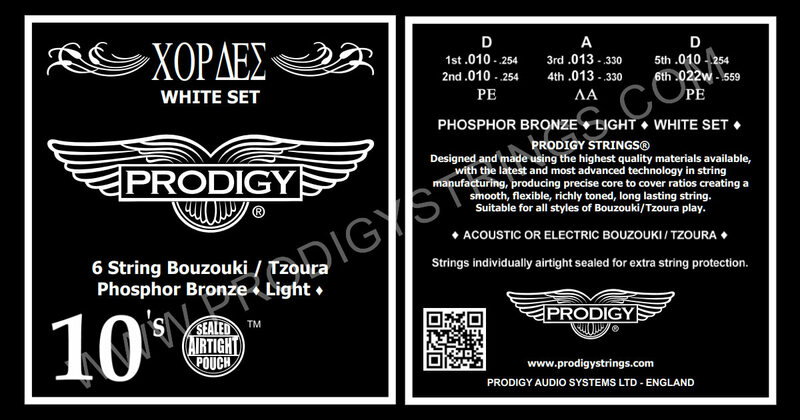 The Phosphor Bronze set offers a different type of sound for your Bouzouki/Tzoura. 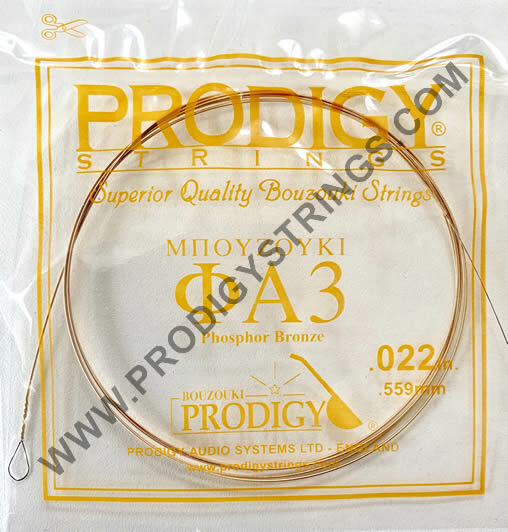 The high quality phosphor bronze wound string, produces a bright sound to begin with, which mellows down with use to a smooth, long-lasting richly toned, punchy and dynamic sound. 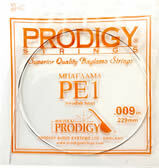 ORANGE SET * New packaging same high quality strings. 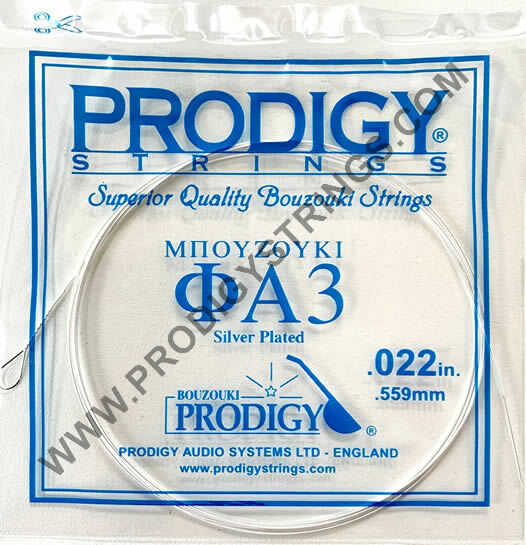 This set is specially created with the correct gauges for the bass and treble strings without putting excess pressure on the bridge which would result in muting the soundboard. 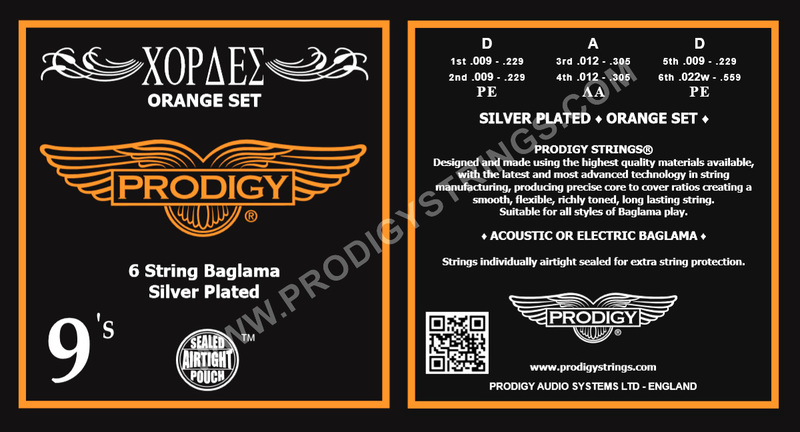 This set allows the soundboard to vibrate in the correct manner producing the distinctive high frequency, sweet and traditional sound of the Baglama. 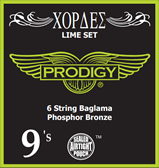 LIME SET * New packaging same high quality strings. 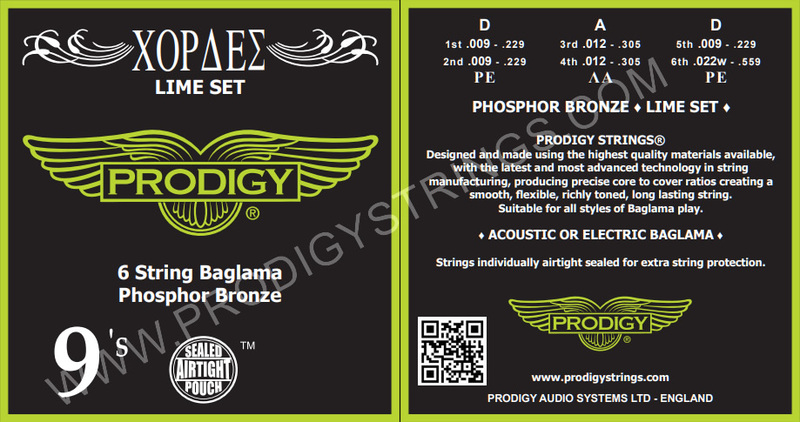 The Phosphor Bronze Set offers a different type of sound for your Baglama. 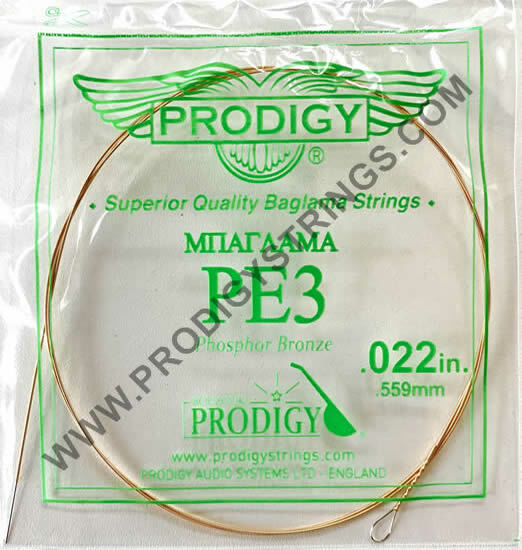 The high quality phosphor bronze wound string, produces a bright sound to begin with, which mellows down with use to a smooth, long-lasting richly toned, punchy and dynamic sound.